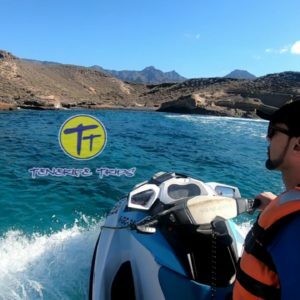 JET SKI TENERIFE, a safari to discover the southern coast of the island. 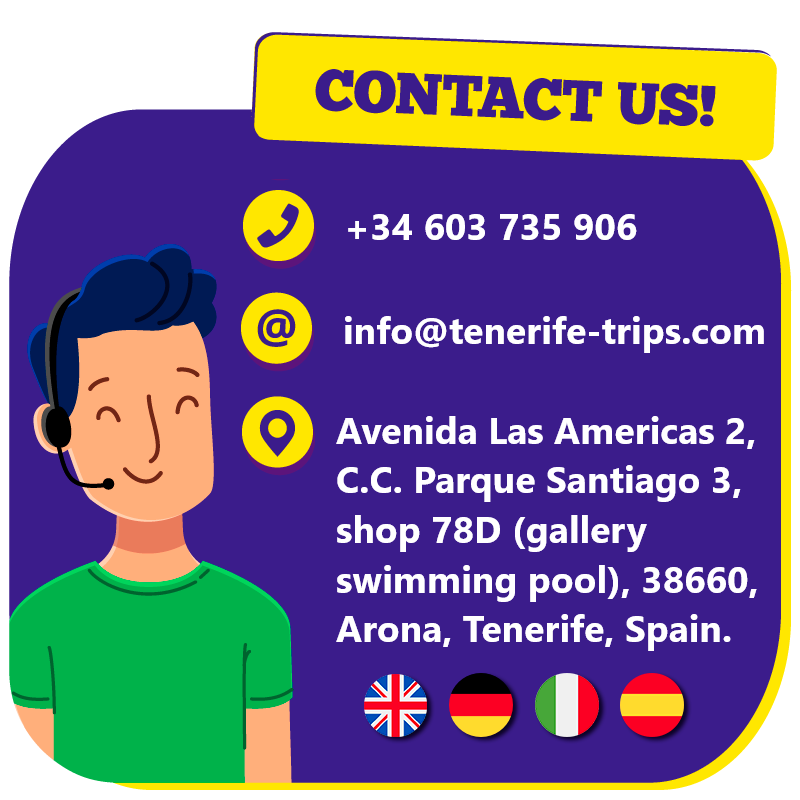 First of all we pick you up from you accomodation in Tenerife south (possible from the area of Los Gigantes to Golf del Sur and included in the price! ); we take you to the harbour of Los Cristianos from which the excursion starts. Here we give you a quick theory lesson, explaining you basic rules to follow during the excursion for your safety; once everything is clear we provide you with all the necessary equipment such as life jacket and wetsuit; then we sit on the jet ski and leave the harbour in a small group of vehicles; you have to follow our guide driving a speedboat who will take care of you during the whole trip. In case of the 1 hour safari we travel direction south until the area of El Palm-Mar; here we can admire beautiful cliffs and natural caves; in the 2 hours trip we travel first to El Palm-Mar and after we turn and head to Playa Diego Hernandez; over there we stop for a break of approximately 15 minutes; at this point you can have a swim and do snorkling with our equipment (including the “aqua ranger”) if you like. The jet ski reaches a speed of 65 km per hour; it is enough to feel adrenaline and remain safe at the same time. A professional photographer on the speedboat will take pictures of you that you can buy at the end if interested. You can be by yourself on the jet ski (single) or share one with another person (double, it is possible to swap driver). Jet ski Tenerife is the king of water sports; if you are lucky you might also spot some dolphins during the excursion due to the big number of them in these waters!